The Six Days war of June of that year was a war of Israeli aggression not self-defense. 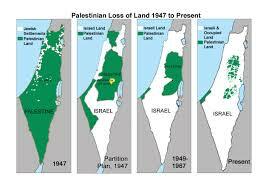 Given that fact (as opposed to Zionist propaganda to the contrary), and that 242 did emphasize “the inadmissibility of the acquisition of territory by war”,the resolution ought to have demanded that Israel withdraw from all occupied Arab territory without conditions. It didn’t. But there was more to the Security Council’s surrender to Zionism than that. Those responsible for framing Resolution 242 were very much aware that Israel’s hawks were going to proceed with their colonial venture come what may – in determined defiance of international law and no matter what the organised international community said or wanted. Sosome if not all of those responsible for framing 242 were resigned to the fact that, because of the history of the Jews and the Nazi holocaust, Israel was not and never would or could be a normal state. As a consequence, there was no point in seeking to oblige it to behave like a normal state – i.e. in accordance with international law and its obligations as a member of the UN. In theory that might it a possibility IF there was American-led, real pressure on Israel and IF that resulted in a significant majority of Israel’s Jews seeing the need for them to do what is in their own best interests. (I really do believe that the Jews are the intellectual elite of the Western world and the Palestinians are by far the intellectual elite of the Arab world. And that’s why I am convinced that what they could do together in peace and partnership in one state is the stuff that dreams are made of. They could also change the region for the better and by doing so give new hope and inspiration to the world). It seems Avi Issacharoff needs to read European history from some objective source. The notorious 1917 Balfour Declaration did call for a 'two state solution' for the British occupied Palestine. However, David Ben-Gurion's unilateral declaration of the so-called 'Jew state' killed the 'two state solution' proposed by London to solve Europe's centuries-old 'Jewish Problem'. Several Jewish writers, authors and blogger, such as, Gilad Atzmon, Roger Tucker and Steve Lendman are all in favor of a single democrat and secular state of Palestine with equal rights both for aboriginals and the foreign Jews. Alan, I want to believe With All my heart That I Have Misjudged Obama..When So many times He has Looked the Other way ..And Let bad actions Happen..Or Was Behind It Happening ( Even when Everything Was Saying I could NOT Trust That he was Acting In Good Faith FOR OUR Country, but instead, was Being Led By The Leash To do bidding for That Piece of Illegal territory They Named ISITReal >>Way Back When.... But So far, I have had to Admit That My Hopes Were Fruitless..And Would Never Be any Different. WHY Is This ? Is Obama being Threatened ? Is He being Told "Our Country Would be in Dire Danger if HE Reneged on What Is Laid Out for him to Follow ? Is he And His Family In danger If he Begins Acting In OUR Best Interests..AND Kept OUR Resources AT Home..And Began paying attention to the Needs here at home instead of Throwing OUR Tax Dollars in The Billions Every year In That Direction..( To Support a Little Piece of Land That Is Quite Capable OF Feeding Themselves ? What Gives here. Obama ? what is it going to Take to Bring you to your Senses And Realize Where your Loyalties Should Be ? What ? Be Honest..Be sincere. And Make It Right with This USA. Don`t Leave your Two terms Of Presidency With Such Ill Feelings Towards YOU..As You surely do Know They ARE. I am afraid the emphasis on the lack of “definite article” in UNSC 242 is, strictly speaking, irrelevant since Israel has always ignored UN resolutions and defied the international community with support from morally challenged foreign politicians. We are talking here about a pariah hybrid state where all non-Arab citizens are alien to the region. It continues to exist because of the fabricated narratives of suffering, so unreal that they need laws in some countries to even criminalise investigation, let alone exposure. It commits crimes so horrendous that its immoral supporters not only turn a blind eye to, but also introduced legislation prohibiting even criticism, as in Canada for example! We are also talking about a state which exists because it has managed to fleece taxpayers in two countries, namely the US and Germany; a parasite par excellence living off the back of hosts where the taxpayers are bound, sooner or later, to say enough is enough. When that happens, this artificial state will vanish. Any thoughts on Jeremy Corbyn's chances to become the new leader of Labour Party. He being accused of pro-Hamas, and being "friendly" with British Jewish Holocaust denier Paul Eisen and Bishop Stephen Sizer, an anti-Israel, pro-Iran cleric. I have put my two Canadian cents on this matter below. I know that the question above is posed to Mr Hart, but couldn't help interjecting in saying that judging by the numbers who signed the petition at: https://petition.parliament.uk/petitions/105446 where in just four days time, the number has exceeded 51,000, in addition to using their not-so-secret weapon (Blair rallied by Alastair Campbell who was arch-Zionist Robert Maxwell's sidekick), the Zionists have lost their marbles. They unwittingly gave Corbyn all the help he needed to become a real side thorn in Parliament and elsewhere. By the way, thank you for elevating the Rev Sizer to the rank of Bishop. In my eyes, the CoE would be lucky to have him as the Archbishop of Canterbury. All western Christian churches have lost the plot by ditching the most basic tenets of their faith and putting their interests, material or otherwise, above their moral obligations. They seem completely oblivious to the parable of the Good Samaritan and are tiptoeing not to offend wrong-doers or, in some instances, even siding with them! @ Sami - I hate to take credit for the "elevation" of Stephen Sizer. On his banned website - he was called "Bishop". The British Organized Jewry has long tried to kicked Sizer out of the Church of England - but only succeeded under a "Jewish" Archbishop of Canterbury, Justin Welby' born into a German Jewish family. The Grün plan will succeed unless the U.S. finally realizes the goal of the Zionist Plan, i.e. expulsion or Death for all Palestinians. But, perhaps it is too late by now for America to Wake up. Waiting for others is pointless. Now is the time for Palestinians living in Israel (formal & occupied) to all apply for citizenship. The message will be clear "Give us our country or give us yours". When millions of them apply for citizenship again and again (because they will be refused) it will create a situation where the issue becomes the topic in Israel. That is the only place that matters because outside influences don't matter to Israel. It is an act that is the worst fear of the Zionists. A non-violent act of defiance and causes the one debate that the Zionists fear the most. Do Jews allow the Zionists to do the "Deir Yassin genocide" to millions or do the regular Jews (the majority) force a settlement acceptable to both sides.